In a previous Seeds For Growth, we began discussing defensiveness — our instinctive reaction of self-protection. We seem to go through life feeling we must protect ourselves at any cost. When our mate says something that pushes one of our hot buttons, we lash out in retaliation. Defensiveness is a killer. It will brutalize our marriage relationship unless we take action. In other words, we must learn to protect ourselves from protecting ourselves. In Part 1, we looked at the reasons why we are defensive and where our defensiveness starts. It starts in our minds — in our THOT-TALK. And from there, the process snowballs into retaliation. Last time, we only had room to mention two THOT-TALK processes we tend to practice. We’d like to describe two more before we get to solutions. As we said before, some of us (1) personalize, some of us (2) magnify and minimize, while others may use one of these. The THOT-TALK pattern of either-or thinking is deadly — you will quickly see why. When we think that we, our mates or our children are EITHER a total success OR a total failure, we tend to blame our total selves or total marriage. We begin to abandon hope and soon quit trying altogether. We block out all potential for change and sink into the mire of despair. Both Kurt and Mary are being defensive and blaming one another for their problem. But Mary has taken the argument one dangerous step farther. Her either-or thinking has affected her emotions — she has become defensive. It has also affected her attitude and communication with Kurt. Notice the downward spiral formed by her own words: “always,” “everything,” “hopeless,” and finally, “forget the whole thing.” Either-or thinking makes us throw away any successes we may have achieved in our relationship. It makes us see life as “totals” not as specific behaviors or problems we can change. And so we just give up. The last THOT-TALK pattern we want to describe is jumping to conclusions and mind reading. This thinking process revs our defensive motor before the race even gets started. We think we can read our mate’s mind based on past experience. We feel sure we know what they are going to say and how they are going to act, and our emotions react to those conclusions before anything even happens. What a picture! There’s Carl… love gift in hand…ready for a fight. His mind reading affected his emotions — he is upset and angry at Bev before he even sees her. It affected his attitude — he is ready for an argument at the slightest provocation. It affected his behavior and communication with his wife. It doesn’t take a great imagination to know what kind of evening Carl and Bev are going to have. Not because of a real situation — but because of a fictitious scenario Carl painted in his mind. His mind reading sabotaged his and Bev’s communication and, therefore, their relationship. No doubt about it — defensiveness starts with our THOT-TALK. So it makes sense that if we can get a handle on our THOT-TALK, we can get a handle on our defensive reactions. Here are some other steps we can pursue to overcome our defensiveness. We need to talk about our defensiveness. This should be treated as an extremely important discussion. Choose a time when the two of you can talk without distractions. Really listen to each other. Make it your goal to understand your mate’s feelings — not to judge them. And decide beforehand that you will speak the truth [only] in love (Eph. 4:15). Ask your mate for changes, don’t demand them. “Next time, don’t treat me like a baby!” probably won’t work. But “I think if you let me know I can make my own choice, perhaps I won’t feel like you are trying to parent me” might work. We all respond better to suggestions than to demands, don’t we? Say…..did you notice something? These R and R Rules could well be Life Rules, couldn’t they? If these guidelines governed your behavior toward your mate, would some defensive episodes in your relation-ship be eliminated? Look at them closely again. What if you spoke in “I” messages instead of judgmental “You” messages in all your communication with your mate? What if you stated your opinions as simply your own opinions rather than “hard and fast rules”? 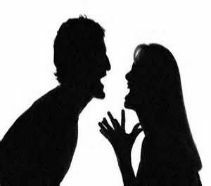 What if you did not make demands of your spouse, but only requests? Would your relationship look different? Remember, the best way to root defensiveness out of your marriage, is to begin giving your mate every reason not to be defensive. Let them know you are with them, that you believe in them, that you value them. As their defenses come tumbling down, you will find that they, in turn, will show you they are with you, that they believe in you, and that they value you.